The threats of Zika and terrorism have gotten most of the headlines, but traffic and infrastructure concerns are on marketers' minds. Brands are planning to put their experiential marketing campaigns front-and-center at the 2016 Summer Olympic Games in Rio de Janeiro, and traffic is at the top of the list of potential problems keeping them up at night. 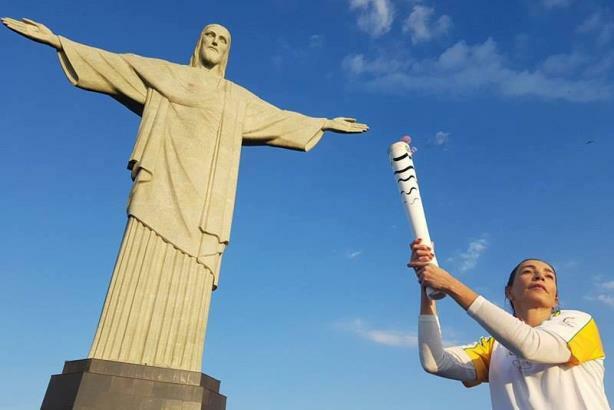 The Games, which will officially begin when the Olympic Torch is lit on Friday night, will take place in 18 locations in four geographically isolated clusters across Rio: Barra, Copacabana, Deodoro, and Maracana. Copacabana is roughly 20 miles away from the main Olympic venues, which can mean a more-than-two-hour trip due to 70-mile-plus traffic backups despite special lanes dedicated to Olympic transportation, such as buses and cars for International Olympic Committee members. A number of sponsors are planning a presence in Copacabana, where many hotels are located, explains Erin Weinberg, United Entertainment Group EVP and group head for sports and entertainment communications. However, the only event there is beach volleyball, meaning guests are shuttling back-and-forth on long trips to or from Maracana or Barra, she explains. "It’s also challenging for media, as they are primarily in Barra, where the main press center is next to Olympic Park," says Weinberg. "Getting to sponsor events in Copacabana has been challenging for them." Critics have charged that Rio does not have sufficient transportation, sanitation, sporting, or telecommunications infrastructure to host the Games. The event will cost $11.5 billion to put on, including $7.1 billion in infrastructure investments. In June, the Brazilian government authorized an $850 million loan for Rio to help pay for Olympic infrastructure and security, after the city declared a state of financial emergency. Just this Monday, the city began operating a new Olympic metro line. Shawn McBride, EVP of sports at Ketchum Sports & Entertainment, who landed in Rio one week before the Olympics, says he understands why those concerns would "give pause" to a brand hosting an experiential program there. Ketchum clients in Rio include Procter & Gamble Family Home, Samsung, and Hershey’s. "From what I am hearing and seeing from some of our clients who are doing some activations down here, as far as traffic and moving from point A to point B, this is not the smoothest operation or situation as of right now," says McBride. "That inherently creates logistical challenges as it relates to getting stuff built and all the tactical things that need to happen." Due to infrastructure and logistics challenges, brands began planning on-the-ground activations earlier than any previous Olympics, experts say. "Marketers, even more so than in the past Olympics, have had to plan out further in advance," says Bryan Harris, COO and managing partner at Taylor. "When you are dealing with a very large city with a growing infrastructure and faced with a lot of the concerns you have heard, real or imagined, you have to plan further out." Ketchum, for instance, began laying out some clients’ Rio activations as far back as 29 months ago, says McBride. Fortunately for brands, media outlets have been exhaustively covering the city’s complexities for more than a year, cutting down on last-minute surprises. "We prepared work with clients prior to the games well in advance of where they were staying and how they would move around," says Weinberg. "As much planning as you do, once you get on the ground, you have to adapt to real-time challenges and realities. We normally do that for the Olympics but the difference in Rio is how spread out everything is." Jim Reilly, Panasonic’s VP of corporate communications, concurs that the enormous scale of and distance between competition venues, as well as security check points, are the biggest challenges for brands doing on-the-ground activations during the Games. However, these challenges have not scared off brands. "[Official sponsor] Panasonic is fortunate to have a seasoned Olympic marketing team that has successfully dealt with local campaign activation at previous Games in Sydney, London, and Beijing," says Reilly. "Many of the challenges we are facing with on-the-ground event activations are not unique to Rio and are an intrinsic part of being an Olympic top sponsor." Starting on Sunday, Panasonic will welcome visitors to its corporate pavilion on "Sugarloaf Mountain’s Stadium of Wonders." Set up with the IOC and the Rio 2016 Organizing Committee for the Olympic and Paralympic Games, the area features visual content gathered over Panasonic’s 25-plus-year support of the Olympic Games. It will also include presentations showing off Panasonic’s proprietary video technology and interactive exhibits where visitors can experience the Olympic competition through athletes’ eyes. Fellow official sponsor Nissan is planning activations throughout the city. The automaker is supplying more than 4,200 vehicles for the Olympic fleet, and it is sponsoring experiential events at two sites, including a 40-meter bungee jump and a rebranding of a hotel in Copacabana as the Nissan Kicks Hotel with events and parties. "With so much going on, my job is to consider every possible scenario," says Jonathan Adashek, Nissan’s chief communications officer. "But I’m confident in the preparations of the IOC and [the Organizing Committee], as well as our team on the ground to ensure the best possible experience for our guests and Olympic fans." Aside from traffic and transportation issues, Rio is facing several challenges including filthy waterways, terrorism fears, and the threat of Zika. Brazilian President Dilma Rousseff is also awaiting an impeachment trial. Paul Oakley, VP of communications for official sponsor Bridgestone, says the tire company’s preparation has been focused on controllable elements, such as its marketing campaigns, hospitality programs, employee communications, and digital platforms. "We naturally have also been monitoring and preparing for possible issues that fill the headlines of worldwide media," he adds. "Our teams made several visits in advance, and we've prepared accordingly for our programs." McBride notes that every Olympic Games has its own set of issues. In Sochi, LGBT discrimination and stray dogs were among the local problems. While Rio’s challenges are different, brands must nonetheless be prepared for local problems affecting guest or client experiences. "The reality is that the subjects, areas, and topics may change a little bit, but we are trying to do our best to prepare our clients to address any of those situations they might find themselves involved in," says McBride. "Brands planning [activations on the ground] must be prepared for anything from the sad reality of terrorism situations to guests getting food poisoning," says McBride. "It runs the gamut – it’s really any way that a brand or sponsor could be exposed to scrutiny."